Home » Tillamook County Pioneer » Help, Hope & Hotlines: What Happens When You Call? EDITOR’S NOTE: There are many resources available that provide help and hope; SOS Tillamook and local partners provide information and trainings to make Tillamook County a “Suicide Safer” community. 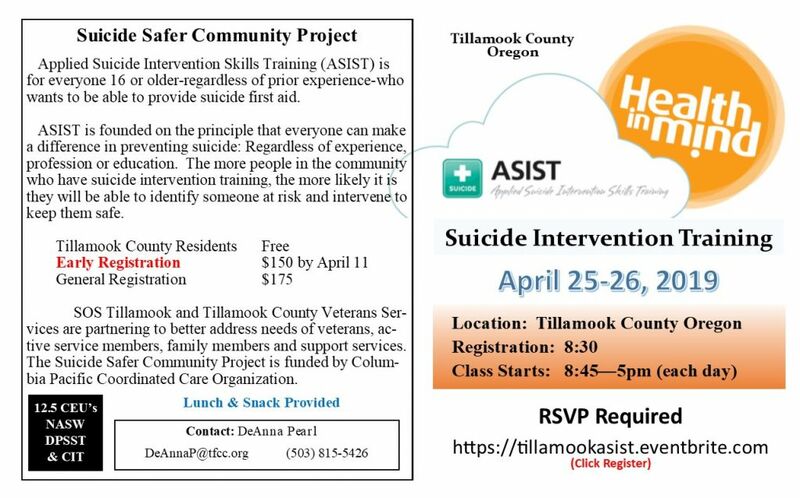 See below more information about SOS Tillamook and upcoming ASIST Training on April 25 and 26. The reasons people are driven to thinking about suicide are vast and the reasons that people call a suicide crisis hotline run the gamut. Reasons may be family- or friend-related or personal. What’s clear is that when someone phones one of these suicide crisis hotlines is that they are in crisis for their own, personal reasons. Crisis hotlines do not judge people for being suicidal nor do they judge their reasons for calling. When people are in a crisis, where they are considering taking their own lives, it’s critical that they reach out to a resource such as a suicide hotline. However, many people are scared of calling a suicide hotline as they aren’t sure what will happen if they do call. This fear might keep some people away. Understanding what happens when you call a suicide hotline can help ease your worries and make reaching out easier. Because people in distress are all different, people choose to access suicide hotline services in different ways. Suicide hotlines provide a toll-free number, but many also provide online chat, email and text messaging services as well. You should choose to access a suicide hotline in the way that makes you the most comfortable. Calls to most suicide hotlines are confidential and free. Trained personnel typically staff suicide hotlines but it depends on the specific hotline as to how they’re trained. Volunteers with minimal training man some suicide hotlines whereas the operators at the National Suicide Prevention Lifeline, for example, are skilled, trained counselors that are often in your area. 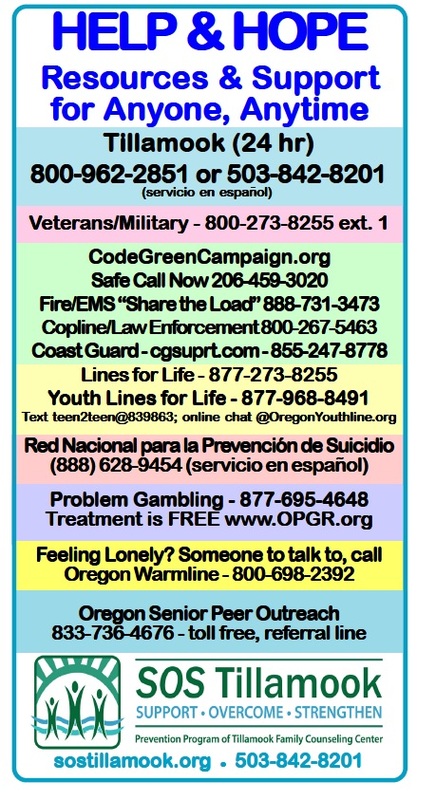 Suicide hotlines that are for specific types of crises, such as the concerns of veterans or of lesbian, gay, bisexual, transgendered or queer (LGBTQ) individuals, are generally trained in the main issues facing those populations. Often you’ll speak to a member of that group his or herself when you call that type of suicide hotline. Save this to your phone for quick access when you or someone you know might need it. Depending on the suicide hotline, your call may be routed to a central location or, as in the case of the National Suicide Prevention Lifeline, your call may be answered by the center closest to you. When you call, you’ll typically hear a message confirming the number you have reached and then on-hold music until someone can answer your call. Once your call is answered, a caring and trained person will listen to you, learn about your situation, ask questions and will then generally tell you about mental health services in your area. Services in your area can range from a mobile response team to a suicide prevention center staffed with counselors where you can be accommodated overnight. While some people have had negative experiences with suicide hotlines, it’s worth remembering that this is the exception and not the rule. People on the other end of suicide hotline calls are generally caring people who want to help you and this leads to primarily positive experiences. Your life is always worth a phone call and every option is preferable to suicide.